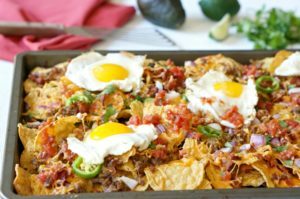 This Breakfast Nachos recipe is a sponsored post written by me on behalf of Mission®. All opinions are entirely my own. 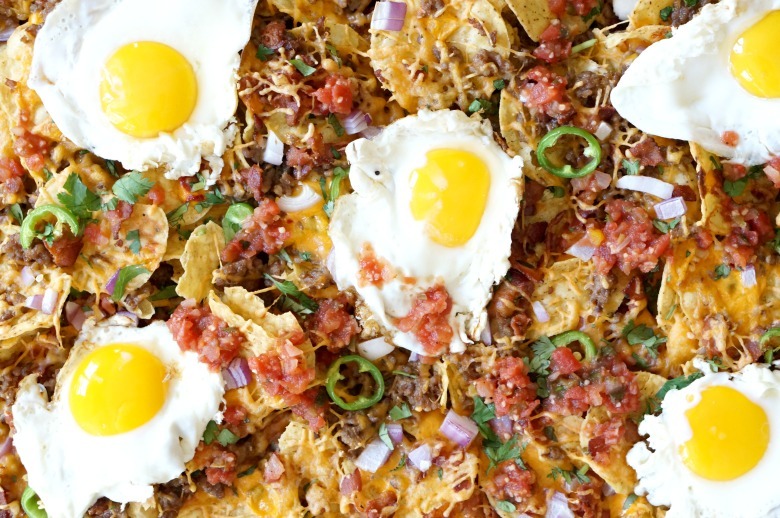 This Sausage, Bacon, & Egg Breakfast Nachos recipe is life changing. Spicy sausage. Bacon crumbles. Sunny side up eggs. Lots of cheese. And crisp Mission® Rounds Tortilla Chips. 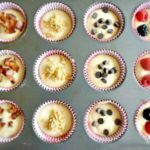 Serve this to your crew for your 4th of July celebration, and you’ll fast become a breakfast celebrity. 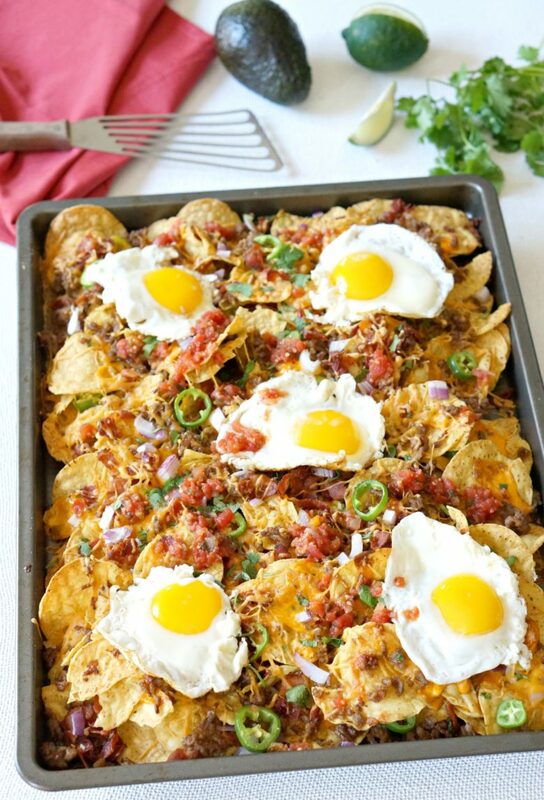 For the life of me, I’m can’t understand why it took me so long to throw some eggs on top of nachos. Sure, I’ve topped off my burgers, my grilled cheese and my pizzas. But nachos? The concept has eluded me for too many decades. Not any longer, my friends. 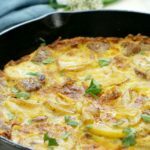 Our Sausage, Bacon & Egg Breakfast Nachos recipe is the perfect dish to serve to a hungry breakfast crowd, and goodness knows there’s plenty of opportunity for that this summer. Planning a trip to the beach or the lake for the 4th of July holiday? Whip these up before you head out for the day and you may just be able to escape dinner duty! 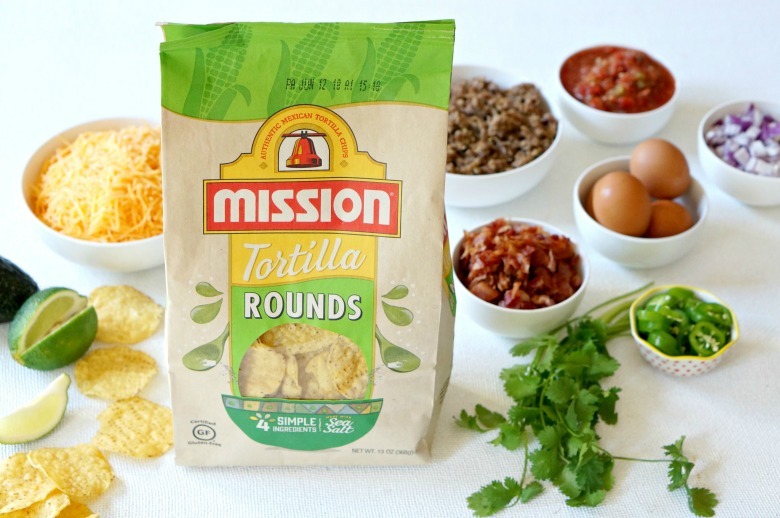 In my house, when we’re making nachos, we use Mission® Rounds Tortilla Chips. With just four simple ingredients (including sea salt! ), these chips are also certified gluten free. 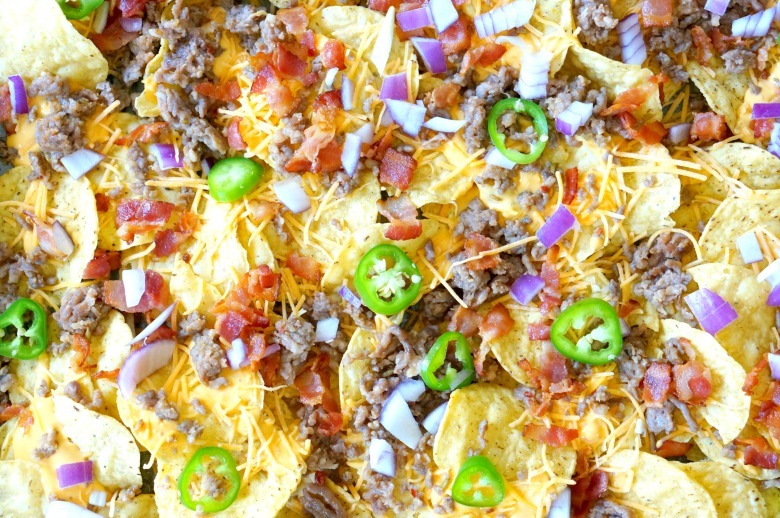 They are hearty to withstand all that cheese and crispy enough to hold up as a base in this topping-loaded sheet pan nachos recipe. Planning on spending the 4th of July with family and friends? 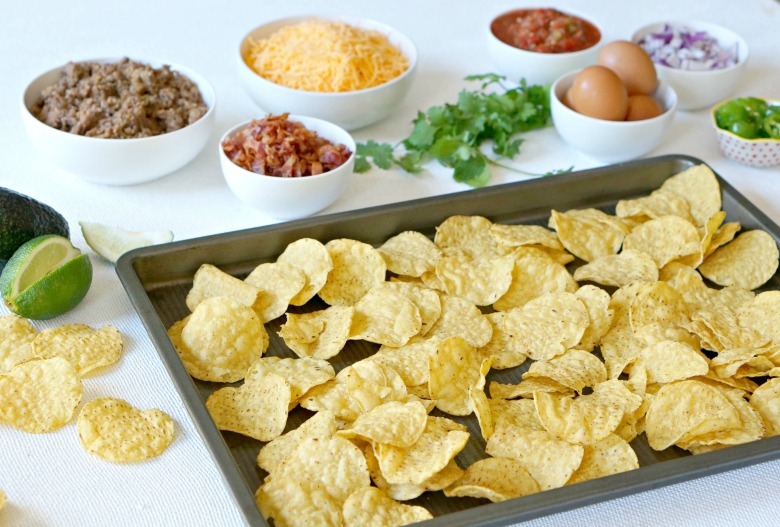 Be sure to keep several bags on hand for all of your snacking needs, but most of all, be sure to save Mission Chips for this most seriously awesome breakfast nachos recipe! 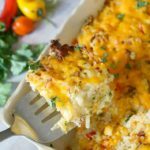 Mission is incredibly easy and tasty to serve at any get-together or gathering, just perfect for the summer and 4th of July. And what’s a party without nachos? Preheat your oven to 425 degrees. Coat your largest sheet pan with cooking spray. Spread out half of the tortilla chips, then top with half of the sausage, bacon, queso, shredded cheese, red onions and jalapeños. Repeat with another layer of chips and toppings. 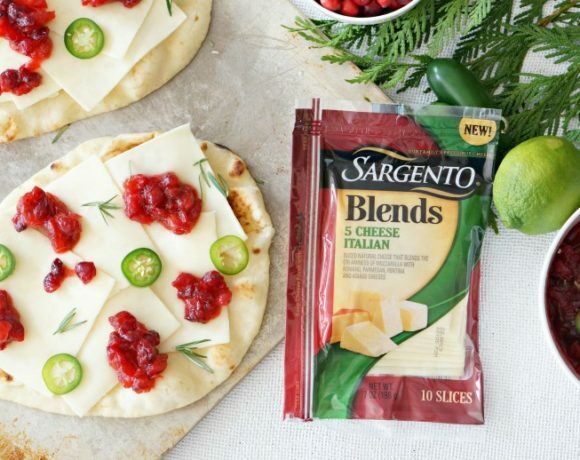 Bake for 10-15 minutes, or until the cheese is melted and the toppings are warmed through. Meanwhile, cook the eggs sunny-side up to your desired level of doneness. I like cooked through whites, but a runny yolk. Remove the eggs from the skillet and place gently on a plate. Once the nachos are done, gently place the eggs on top and sprinkle with cilantro then drizzle with salsa. Step back and take your bow! 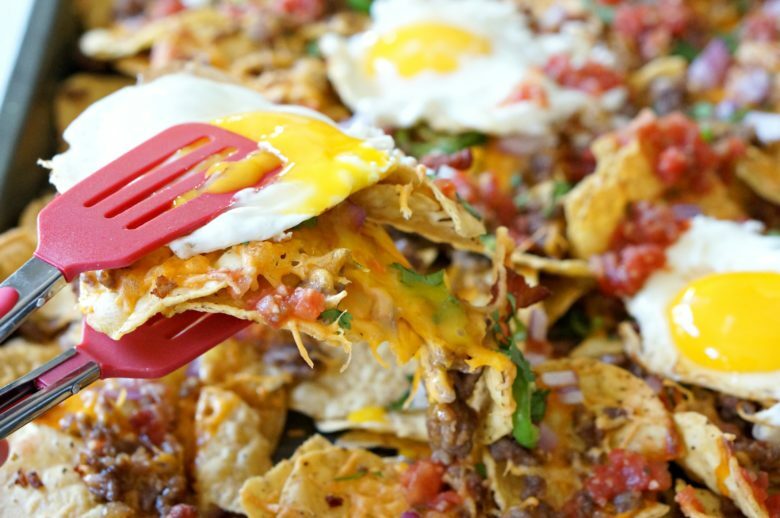 This Sausage, Bacon, & Egg Breakfast Nachos recipe is life changing. Spicy sausage. Crispy bacon. Sunny side up eggs. Lots of cheese. And crisp Mission® Rounds Tortilla Chips. Serve this to your crew, and you'll fast become a breakfast celebrity. 1 package Mission® Rounds Tortilla Chips, 13oz. 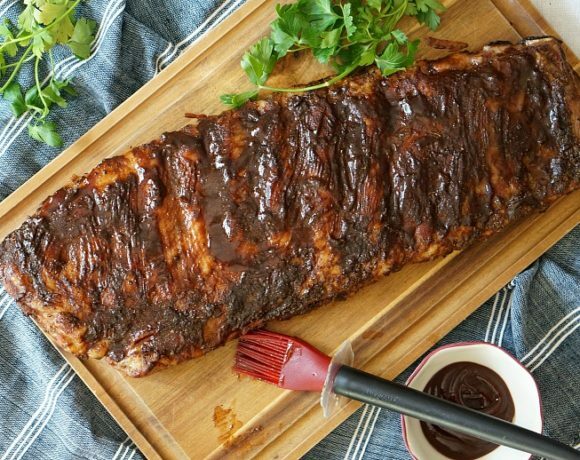 Coat your largest sheet pan with cooking spray. Spread out half of the tortilla chips, then top with half of the sausage, bacon, queso, shredded cheese, red onions and jalapeños. Repeat with another layer of chips and toppings. Meanwhile, cook the eggs sunny-side up to your desired level of doneness. I like cooked through whites, but a runny yolk. Remove the eggs from the skillet and place gently on a plate. Once the nachos are done, gently place the eggs on top and sprinkle with cilantro then drizzle with salsa. 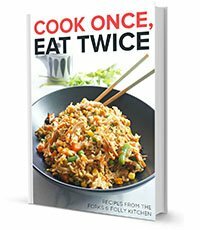 *Note: This recipe is totally adaptable! Feel free to skip the sausage and the jalapeños if you aren’t a spicy foods fan. Or, load her up with guac and sour cream after you add the eggs. Pick up Mission Chips and the ingredients for this recipe at a retailer near you (or your summer vacation destination)! 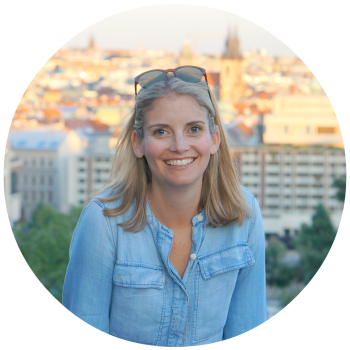 You can check out the store locator on this site . 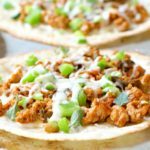 Looking for more great recipes with Mission products? Try our Roasted Cauliflower and Black Bean Tacos, our Gluten Free Pizza Tacos, and our Spinach & Ricotta Wild Mushroom Tacos. Serve these favorite dishes with spicy margaritas for the perfect pairing!